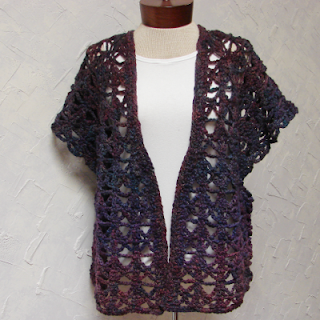 Terrific Fibers: Finished Lacy Vest, Finished Cameo and Magic Yarn Balls!!! Finished Lacy Vest, Finished Cameo and Magic Yarn Balls!!! Here is my finished Lacy Vest. I used handspun yarn for this vest, gifted to me by my great friend, Debbie!!! 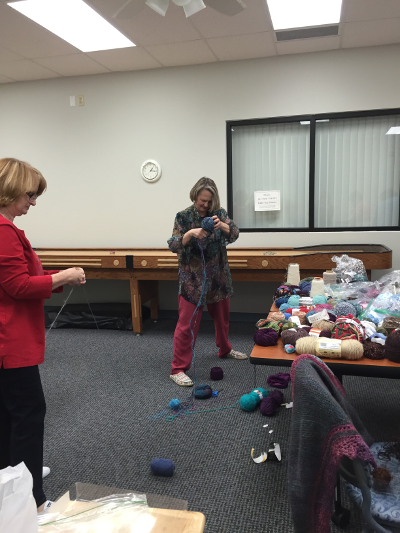 I wrote about the yarn in this post, this is the link,. I had to call my daughter and ask her how I had taught her to hold her yarn. 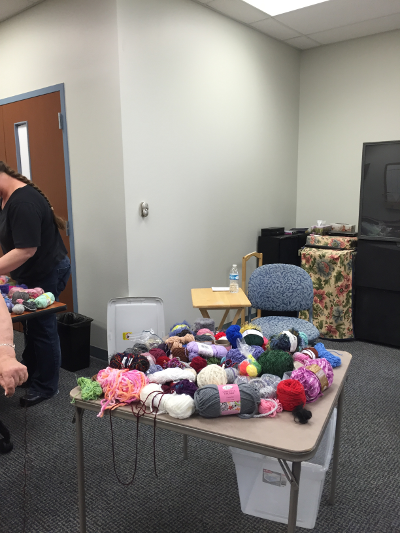 Then on my last visit to my mom, she was crocheting something and I was able to watch her!!! After all, she is the wonderful person who taught me in the first place. So, gradually, I have been working on my crochet skills. I did rip out a bit of mistakes in this vest, as I got used to reading patterns again. 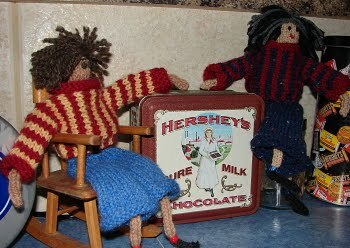 One day, I was so confused, that I asked a couple of gals who I help with knitting. They were so excited to be helping ME for a change!!! LOL! I was glad they were helping me too! Here is Cameo! I finished it. I guess I should actually say, that this is my version of Cameo. Here is the link to the Cameo. I changed the lace portion of the scarf, used the Little Leaf lace pattern(in garter stitch), and then did a version of the Feather and Fan lace pattern. Last Wednesday, at our spinning group, we started a FUN project! 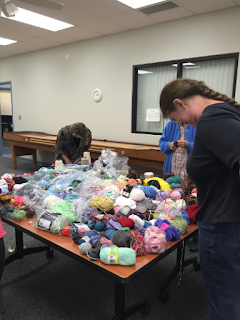 We decided to go through our yarn stashes and bring in unwanted, or better yet, yarn we didn't know what to do with and couldn't get rid of. 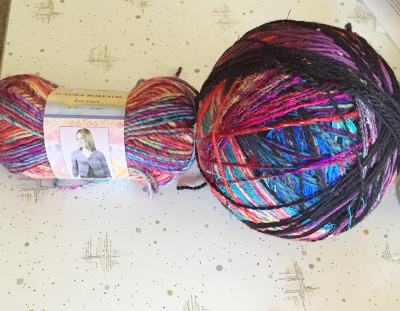 You know, the yarn that sits in that bucket, drawer or closet, that you love seeing, but can't imagine why you bought it, or why you bought 17 skeins when you only needed 12??? We also brought in those little portions left over from completed projects. While we were playing in the yarn, we decided to call this a Friendship Ball of yarn. We have used yarns from our friends and it is extra special for that reason. Here is the second table, the run-over table. It is a card table, but was chock full too. We wound and we wound. We all had our own idea of how long we wanted a color to be. If a yarn was thinner than we wanted, we found something to compliment it and wound two or more strands together as one. We had so much fun. Some of us, like Laurie in the center of the above picture, wound HUGE balls. Some of us, like me, wound separate little balls. I did this so that I could remember what colors I had used. 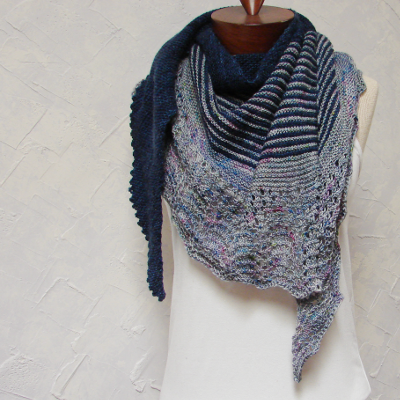 :) I have a shawl project in mind for mine. This is my collection of little yarns. 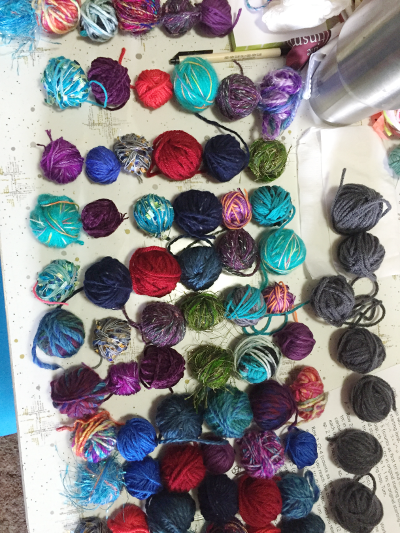 Because I had decided that I wanted to use as many jewel tone colors as possible, most of what I used was from my stash, and I supplemented with other yarns. I have a mixture of wool, acrylic and cotton yarns in here. I didn't use the gray to the right though, I decided to put those to the side for the next project. After laying my little yarns out to rest, I organized them into an order that I liked. I tried to have 3 balls of each colorway, so I spread each colorway a bit apart. I then started attaching the ends together, by using the Russian Join. I also added long sections of blank in between the rows of my colors. When done, my Friendship Ball of yarn weighs about 1 lb. :) Here it is placed next to a 3.5 oz ball of yarn, so you can see the size. The funny thing about our Friendship Yarn project, is that we were having so much fun, that no one wanted to stop. But, alas, our time was up and we had to clean up and head for home. We decided that we would pick up where we left off this week and maybe another week after that.